Once endangered, bald eagles have been slowly growing their numbers around the country. 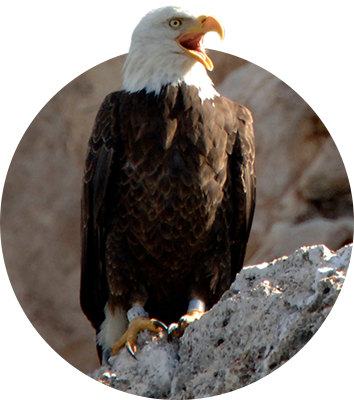 Thanks to the careful work of the Arizona Game and Fish Department and its partners on the Southwestern Bald Eagle Management committee – a coalition that includes government agencies, private organizations and Native American tribes – we’ve made good progress recovering bald eagle populations in Arizona. From tracking just 11 breeding pairs in 1978, we monitored an estimated 69 pairs in 2018. Even more importantly, breeding pairs produced 87 hatchlings and 70 “fledged” eaglets, or eagles who successfully take their first flight from the nest, beating 2017’s record highs. With continual monitoring and habitat protection efforts, we hope to help this majestic bird flourish in Arizona once again. How Did the Bighorn Sheep Cross the Road? The bighorn sheep population in northwest Arizona is important to outdoor enthusiasts of all types, yet highways have separated this population. As a result, wildlife-vehicle collisions, interference with access to adequate water and lack of habitat connectivity disrupt bighorn and put their population health at risk. In a historic and innovative collaboration with the U.S. 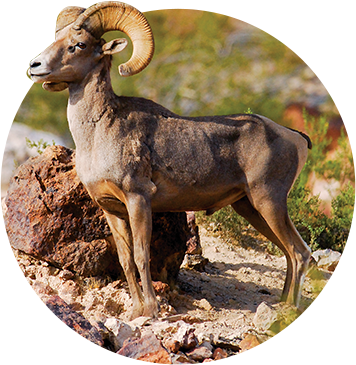 Fish and Wildlife Service, Federal Highway Administration, and the Arizona Department of Transportation, the Arizona Game and Fish Department created a solution that saves the lives of bighorn sheep and people. To alleviate vehicle collisions with bighorn sheep along a busy 15-mile stretch of Highway 93 north of Kingman, three wildlife overpasses and adjacent funnel fencing were constructed. This infrastructure allows wildlife to cross over the road safely, helping to keep populations connected to their habitat and reducing the risk for motorists and wildlife. The success of this project led to collaboration with an unlikely partner: Nevada, who was concered the construction of the new Interstate 11 would have devastating consequences on wildlife habitats. Working with Nevada Department of Wildlife, Nevada Department of Transporation and other agencies, Arizona Game and Fish assisted with the design and implementation of the crossings, which is already showing positive results with active monitoring. One of Arizona’s two native turkey species, Gould’s turkeys were once common in southern Arizona. Plentiful at one time, they were an important food source for those who settled and worked in the rugged lands of the south. However, by 1930 they had disappeared from Arizona’s landscape. The first efforts to restore the population took place in 1983 in the Chiricahua Mountains in southeastern Arizona. Now, the Gould’s turkey population has topped 1,000 and continues to grow throughout the Huachuca, Chiricahua and other mountain ranges in southern Arizona. 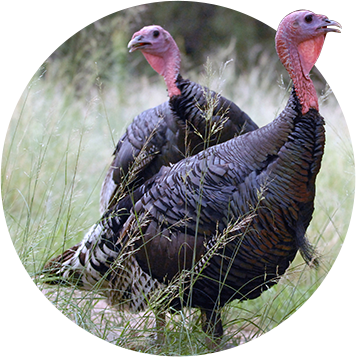 Today, Arizonans can experience the Gould’s turkey firsthand in its natural environment. The Sonoran pronghorn population has declined because of habitat loss, and lack of water. 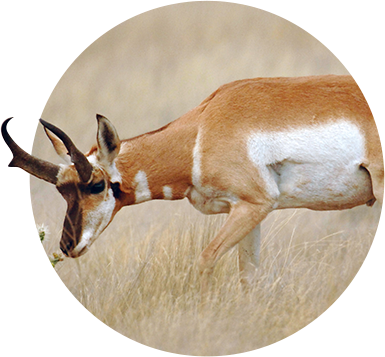 In 1967, the Sonoran pronghorn was listed as an endangered species. A drastic population decline in 2002 left the U.S. Sonoran pronghorn population at about 21 animals. As a species that has been known by Arizonans for its strength, the population count was now weakening. One of the strategies for pronghorn recovery is to establish additional populations to prevent a single regional catastrophic event from causing loss of the species from Arizona. The Arizona Game and Fish Department has a large database of locations derived from intensive research efforts conducted on Sonoran pronghorn dating back to 1994. We examine areas used by radio-collared pronghorn to determine which landscape, terrain and vegetation feature best explain the pattern of habitat use by pronghorn. Results from our study will guide future relocation sites of Sonoran pronghorn in Arizona and the rest of the U.S. This not only increases the probability of successful translocation; it helps ensure opportunities for current and future generations of outdoor enthusiasts to experience and appreciate this iconic representative of Arizona’s wildlife. Arizona’s state fish was once nearly driven to extinction by overfishing and the introduction of non-native trout species, becoming one of the first species to be federally listed as endangered in 1969. 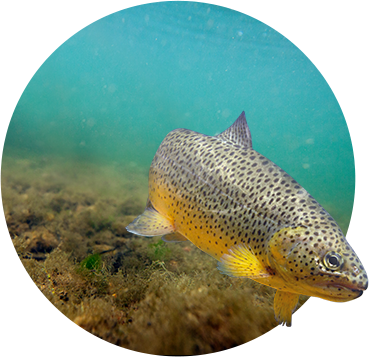 For the past 40 years, the Arizona Game and Fish Department have worked together with the White Mountain Apache Tribe, US Fish and Wildlife Service, and USDA Forest Service to restore Apache trout habitats and increase populations. The hard work has paid off significantly—anglers can once again fish for Apache trout in designated streams, and populations are nearing the criteria to be removed from the endangered species list altogether. Sometimes the true value of an animal isn’t known until it’s gone. 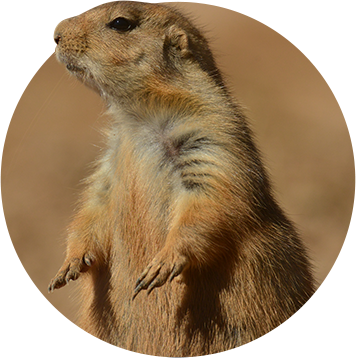 Native to southern Arizona, the black-tailed prairie dog once flourished, until expanding agriculture and ranchers’ efforts to poison these “pests” drove them out for good. As it turns out, the prairie dog is an essential part of the grasslands ecosystem. Other plant and animal species suffered as a result of the prairie dog’s expulsion. Today, efforts to reestablish these perky pups on protected lands are slowly gaining ground, with two successful reintroductions and more planned for the future. Soon, this special species will be right back home on the prairie where they belong. Mexican wolves once roamed the Arizona wild. But as the Wild West attracted more settlers, these wolves were pushed nearly to extinction to protect livestock and give hunters one less predator to compete with. It’s taken four decades of collaboration between multiple states, national and international agencies to agree upon and execute a recovery plan for the Mexican wolf. Using science-backed methods that included captive breeding and cross-fostering, Arizona Game and Fish managed the reintroduction of 11 wolves into Arizona in 1998. 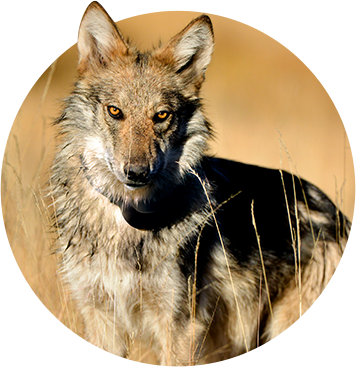 Today, we’re proud to have more than 100 Mexican wolves thriving in the Arizona wild.